Just south of the Venetian Causeway is the MacArthur Causeway. Shown in the Google earth photo below, the MacArthur Causeway goes between Miami and the southern tip of Miami Beach. On the western end of the causeway are two parallel 'T' girder bridges that are currently being connected with a center widening. The SR 41 A1A (I-395) Bridge ( FDOT #870771 and #870772) is an 18 span, 2454 ft long bridge that slowly climbs over the western portion of the Intracoastal Waterway and Biscayne Bay. It was built in 1995 and is currently being widened. 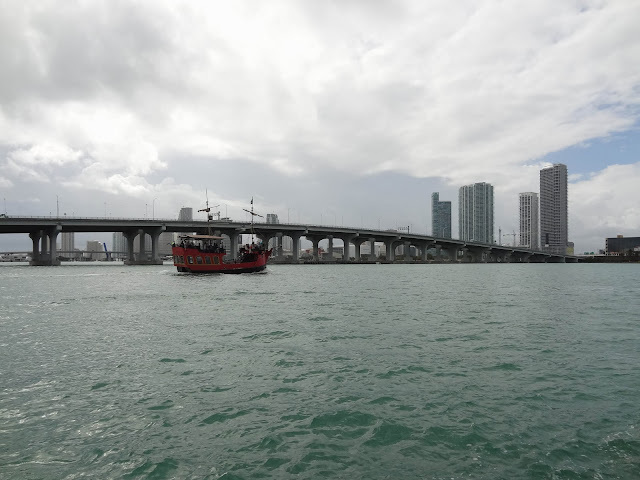 The MacArthur Causeway was begun in 1917 and has been continuously worked on ever since. In 1942 it was named after General Douglas MacArthur. It was a six lane highway and so I imagine that it will soon become an 8 lane highway. 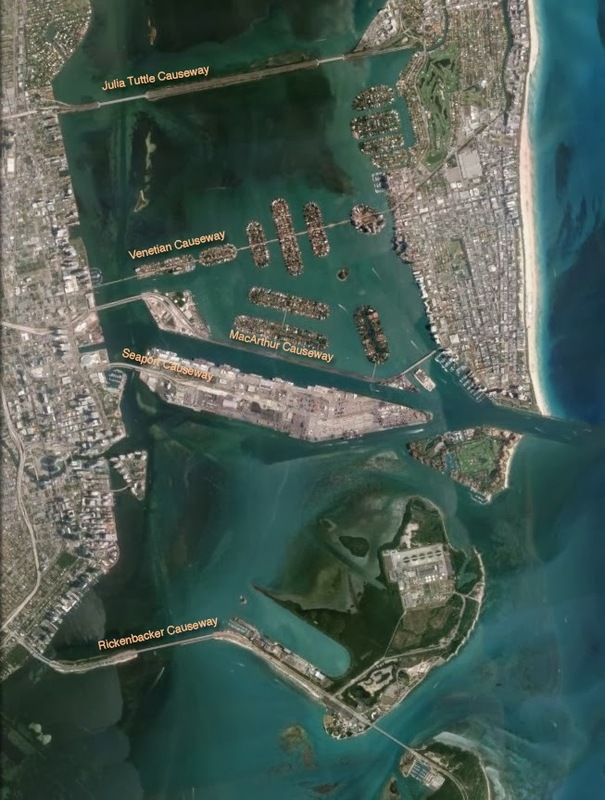 In the photo below we are looking at the Causeway from the Miami shoreline next to the Port of Miami. Miami-Dade County, Florida Bridges: The MacArthur Causeway across Biscayne Bay by Mark Yashinsky is licensed under a Creative Commons Attribution-NonCommercial-NoDerivatives 4.0 International License.